Learn more about the Irish Association of Law Teachers. What is the Irish Association of Law Teachers? 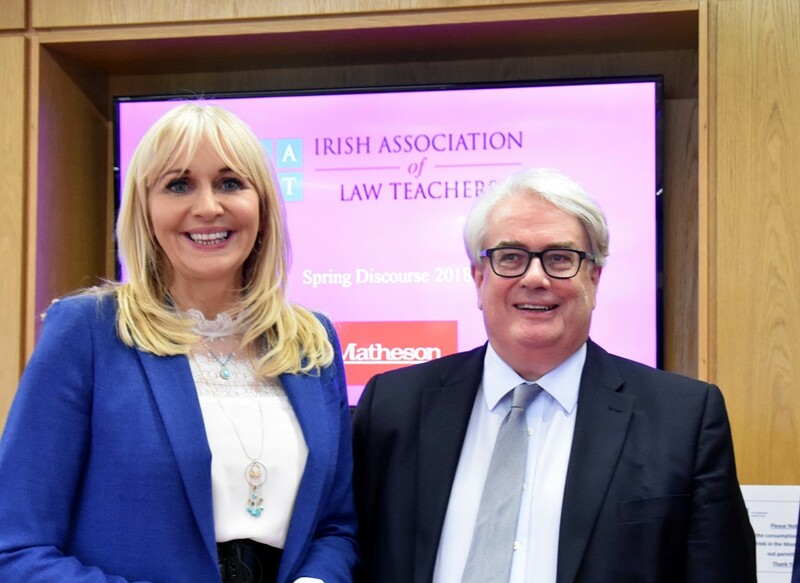 the Irish Association of Law Teachers is an organisation established in 1979 with the objective of advancing legal education, legal research and the work and interests of law teachers in Ireland. The affairs of the Association are managed by a Council, consisting of a President, a Treasurer, a Secretary, a Membership Secretary and a number of Ordinary Members. Click here to view current council members. How can I become a member of the IALT? Membership is open to all persons in Ireland who are regularly and substantially engaged in teaching law, whether full-time or part-time. You can become a member by providing your details and payment under the membership section. Does the Association organise any events? Details of forthcoming seminars and conferences are available under the events section. What are the benefits of membership of the Association? Being a member of the Association means that you have an opportunity to engage with fellow law teachers and researchers from Ireland and Northern Ireland. Members are also eligible for a discount at the Annual Conference of the Association, and you must be a member of the Association to be eligible for either the teaching award or the book prize.